June is a huge month for Pixar. Next Friday, June 15, Cars Land opens at Disney California Adventure in Anaheim, signalling the new version of that park. Then, the following Friday, June 22, it's the opening of Brave, the all new film starring Merida, the Scottish princess. To get ready for both, we are Tweetwatching Pixar films that involve Mark Andrews, the director of Brave, back when he was a story supervisor. 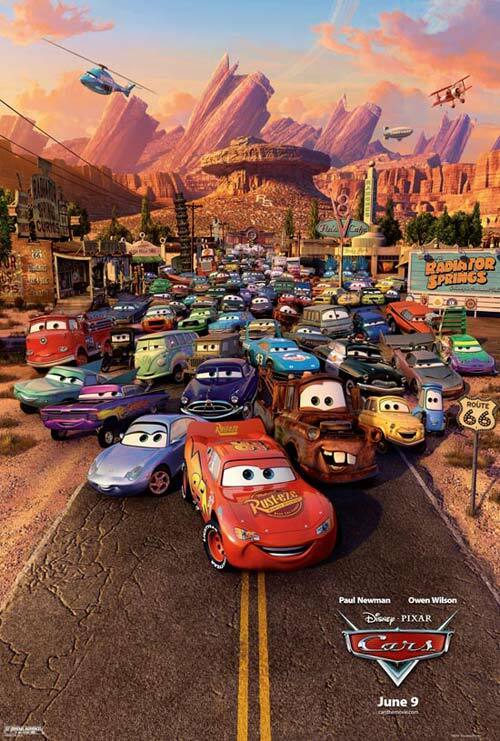 This one, Cars, has a great double value because it will prepare you for all the great visuals and gags you'll see coming out of Cars Land next week. 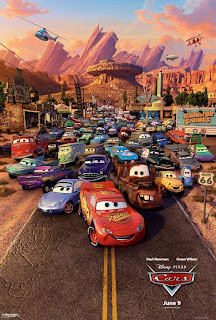 Join the fun as Lightning McQueen and the gang take to the streets of Radiator Springs. This film is PACKED with little bits of trivia, so make sure you join in and get the full enjoyment of CARS. 3. At 8:30p ET, I'll tweet out the signal to push play, and we'll watch the movie together, while I fill you in on some of the little known facts about each film. It is tons of fun, and I really enjoy doing them, so make sure you join the fun tonight at 8:30p ET. Look forward to seeing you all there!